Pacific are a piano-driven alternative/Indie band hailing from Northwich, Cheshire, UK. The band consists of brothers & songwriters Anthony Orzel – Vocals/Piano and Daniel Orzel – Synths/Bass/Backing Vocals, Dave Bithell – Guitars and Drew Burns – Drums/Percussion. 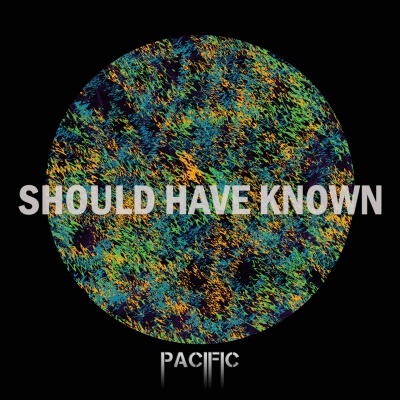 Pacific's lead single 'Time to Forget' from their debut EP 'What Are You Waiting For' immediately stood the band out from the crowd. The single reaped the band's first BBC Radio 1 play on the Huw Stephens show, along with airplay on a further eighty UK radio stations. Following their 2017 single release ‘Blinded’, described by reviewers as “anthemic vocals, addictive guitars and euphoric moments”, Pacific’s energetic brand new single ‘Life in Short’ landed, with an exclusive first look courtesy of Metro, declaring “New band Pacific are proving indie music is getting a much needed coming back.” - with Metro's video exclusive trending number 1 on the site for a week. 'Life in Short' won Staffordshire & Cheshire's 'Best Local Single' at the 6 Towns Radio Awards 2018 and is currently at over 90k streams on Spotify. Pacific made huge steps on the live circuit in 2017, sharing stages with Razorlight, Maximo Park, Newton Faulkner, Toploader, Fun Lovin’ Criminals, Wheatus, The Hoosiers, Starsailor and more. The band have previously received strong backing from BBC 6’s Mark Radcliffe, who praised the band’s music as “outstanding”, along with constant support from BBC Introducing, who often invite the band for interviews and live sessions. Pacific's music has often been played at half time at Manchester United's Old Trafford stadium, along with the band's music videos on heavy rotation on MUTV.